Lionel Richie's son Miles was arrested at Heathrow Airport for making a fake bomb threat. 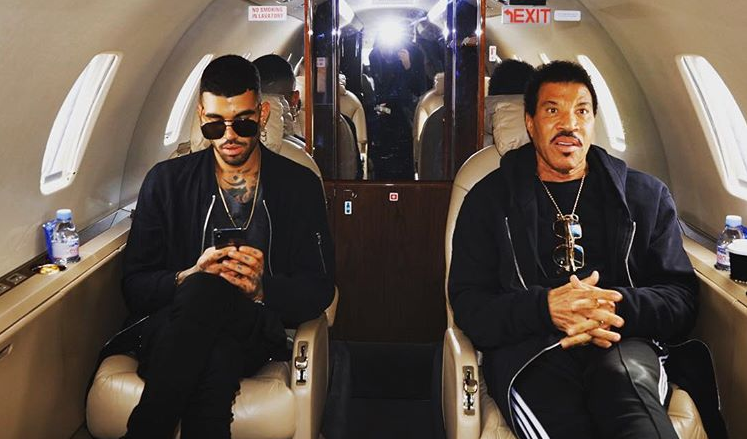 Lionel Richie's son has been let go on a "caution" after allegedly telling security staff at London's Heathrow Airport that he had a bomb in his bag. As if that was not bad enough, Miles reportedly also hit a security guard. According to TMZ, Miles became angry after he was told that he could not board a flight. Sources said he told staff he would detonate the bomb if he was not allowed on the plane. Security was called and the 24-year-old allegedly punched one of the guards who arrived. Miles was detained but was later released on a "caution" for "communicating false information causing a bomb hoax and battery following an incident at Heathrow (Airport) Terminal 5", the publication reported. Police did not mention the name of the person involved in the incident, but several reports claim it is Lionel's son. Social Media users slammed Milo for his actions. "Overprivileged spoiled brat," one Twitter user wrote. Another added: "Lionel Richie's son Miles Brockman Richie is an a**hole who just got arrested in London for being an a**hole and I thought Sofia Richie was the only dumb one in that family." Some noted that the average person would not get off on a "caution" for making a bomb threat at an airport. "Wait wut???? Just a caution for threatening to blow a plane up and flattening a security guard?? If this was 'average joe' we'd get 10 years." one tweep wrote.